Health concerns that may fall into the blood sugar category include things affecting moods, emotions, and the ability to handle stressors, the ability to learn, fatigue, sugar cravings, being sleepy after meals, excessive sweating, thirst, or urination, and difficulty losing weight. For the blood sugar category, Dr. Wallach recommends the Healthy Blood Sugar Pack. 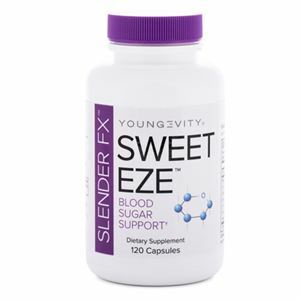 To the 90 essential nutrients, the Healthy Blood Sugar Pack adds the “secret sauce” of the Sweet-Eze. This pack is specifically formulated to support and promote healthy blood sugar levels. Each pack provides broad spectrum foundation nutrition and includes BTT 2.0 Citrus Peach Fusion - 480g canister (1), EFA PLUS™- 90 soft gels (1), Beyond Osteo-fx™ powder - 357g Canister (1) and "secret sauces" in this pack is Sweet Eze™ (1). Sweet-Eze includes the nutrients that help the body open up the insulin receptors on the cell walls. Once these insulin receptors are open, the sugar from the food we’ve eaten can leave the blood stream and efficiently enter the cell. Once inside the cell, this sugar will produce energy for the body to function. Sweet-Eze needs to be taken BEFORE meals. Dr. Wallach explains that a deficiency of chromium and vanadium causes many blood sugar imbalances. However, there are hundreds of chemical processes that are responsible for proper blood sugar regulation. All of these chemical processes require nutrition to function properly. Once the sugar is in the cell, there are more than 23 other co-factor nutrients that are required for the body to properly regulate blood sugar. If your insulin receptors are missing any of these key nutrients, the insulin can’t effectively take the sugar from the blood and put it into the cell. This is where using nutrition that helps to open up the insulin receptors is so important. To ensure the best results possible with the Sweet-Eze, it’s imperative that it be taken 15-30 minutes BEFORE a meal. The typical dose per 100 lbs. is 2-3 capsules with each meal. However, if you have absorption or digestive issues, weigh more, or are eating meal higher in carbohydrates you may need more. The Sweet-Eze works best when taken 15-30 min before meals because it then has time to be absorbed and to support the body’s ability to open up the insulin receptors BEFORE blood sugar begins to rise.